Android tablets being crummy and Microsoft ones being dismembered laptops, it's nice that Apple's unexpectedly announced new models of its aging iPad Mini and iPad Air. 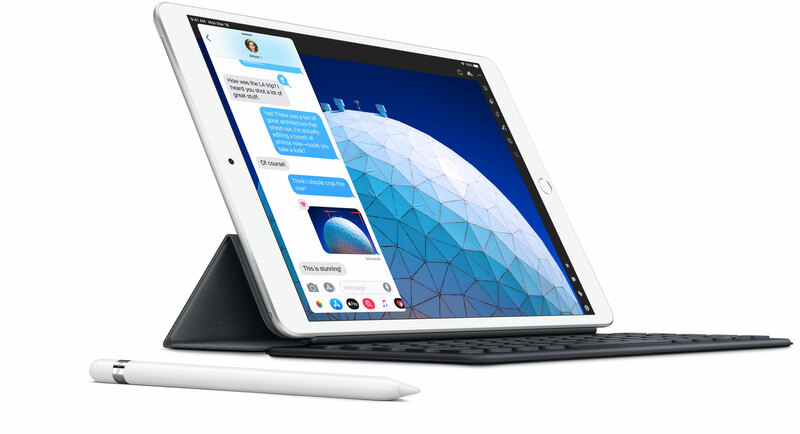 The 10.5" iPad Air weighs one pound and starts at $499, while the 7.9" iPad Mini has pencil support, an ultra-high DPI and starts at $399. Both use Apple's latest A12 chips and have optional LTE. The new Air effectively replaces last-gen iPads with something a little smaller and much more powerful, while the Mini should be especially interesting to artists and designers who don't want to hoik around a ~$800+ iPad Pro just to get dirty. From the press release it appears to be the last-gen pencil with the standard 60hz refresh rate, but even then the latency is in a league of its own.